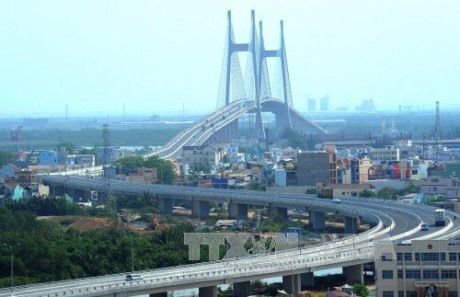 HCM CITY — HCM City should have more autonomy from the Central Government and, in turn, grant local districts more autonomy in the management of construction projects and administrative procedures, the HCM City Real Estate Association (HoREA) said. The HoREA has petitioned to the Central Government to research and apply a more decentralised model of urban administration. The city should be authorised to solve major issues relating to staff hiring and salary policies to attract talented people to government positions, the association said. The city should also be able to choose the investors and contractors of projects below 100 hectares in scale or fewer than 2,500 apartments, and an investment cost of less than VNĐ10 trillion (US$440.92 million), while currently the Central Government makes these decisions. The city should also delegate to district land use rights registration offices the issuance of land use certificates in an effort to speed up administrative procedures. The HoREA also propose the Central Government allow the city to retain unused annual local budget revenue for five years to use for its development plans instead of returning the money to the Central Government each year. In the first 10 months of the year, the city issued more than 414,000 land use certificates and over 38,000 construction permits.